…the Right Choice for Raleigh-Durham! International Brotherhood of Electrical Workers (I.B.E.W.) Local 553 represents union inside electricians and outside electrical linemen who service the entire Raleigh-Durham, N.C., region – in particular its citizens, its businesses and “The Research Triangle.” Through Local 553, these men and women are united to improve the entire electrical industry. Local 553 facilitates the professional needs of its highly trained and thoroughly dedicated members throughout Raleigh-Durham by actively sponsoring a multitude of programs and activities while also lobbying for the good of the electrical industry as a whole. Local 553 sees to it that our members receive the world-class training they need and the benefits and representation they deserve. 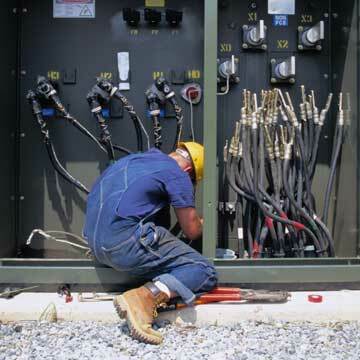 At the same time, Local 553 is committed to providing the region’s electrical contractors with a fully prepared and highly professional workforce of skilled electricians, while also vigorously promoting and supporting the region’s electrical marketplace – helping to make our ELECTRICIANS and OUTSIDE LINEMEN “The Right Choice” for our SIGNATORY CONTRACTORS. The International Brotherhood of Electrical Workers (I.B.E.W.) is comprised of proud union members with a wide diversity of skills and jobs. One of the most progressive unions in existence, the I.B.E.W. represents some 750,000 members in the United States and Canada. To learn more about the I.B.E.W. and Local 553, visit www.ibew.com.